Doctor and Kansas Rep. Roger W. Marshall wrote an op-ed saying there aren’t any reasons why a late-term abortion is necessary to protect a woman’s health. “To this day, I can’t think of a single scenario where I thought a late-term abortion would help to improve a woman’s mental health,” Marshall wrote in a Monday op-ed published by Fox News. “Contrary to the pro-abortion movement, regardless of the mother’s underlying medical health, I never saw the scenario where we had to choose between a mom’s life and a baby,” Marshall wrote. Marshall is an obstetrician who has delivered more than 5,000 babies in Western Kansas over 25 years. He also served as an OB-GYN at a state mental health hospital and prison. Pregnant women face much higher risks for uterine perforation and life-threatening hemorrhaging during late-term abortions, according to Marshall. The procedures also pose a high risk of infection, permanent scarring and infertility, according to the doctor. “Point blank, late-term abortions are unsafe and are more dangerous than naturally occurring childbirth in almost any situation,” Marshall wrote. New York passed the Reproductive Health Act on Jan. 22, codifying a woman’s ability to abort under state law and allowing women to have abortions after 24 weeks in cases where “there is an absence of fetal viability, or at any time when necessary to protect a patient’s life or health,” according to the legislation. Marshall called New York’s law “inhumane” for both mothers and children. “I urge you to tell all of your elected federal officials to support the Born Alive Abortion Survivors Protection Act, which is the first step to immediately protect those babies who have survived botched abortions and mandate that they receive proper medical care,” the doctor and state representative also urged. 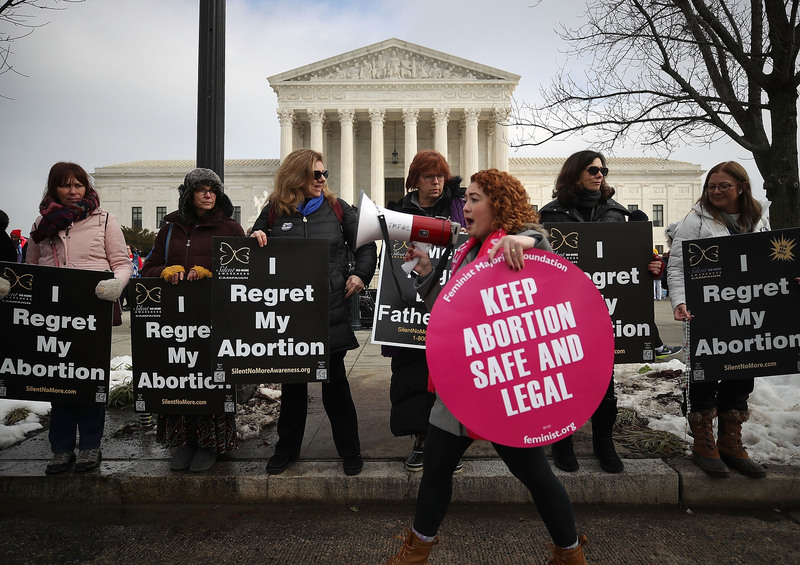 Seventy-five percent of Americans support significant abortion restrictions and say abortion should be limited to the first three months of pregnancy, according to a January Marist survey.